This activity has been designed to address the educational needs of dermatologists, dermatology surgeons, plastic surgeons, and facial plastic surgeons. It may also be of benefit to other physicians, nurses and other healthcare providers who are involved in the field of aesthetic medicine. Describe the causes, processes, locations, and impacts of facial aging as they relate to aesthetic rejuvenation. Evaluate recent clinical data on current and emerging minimally invasive techniques for aesthetic facial rejuvenation, especially characteristics that affect treatment outcomes. 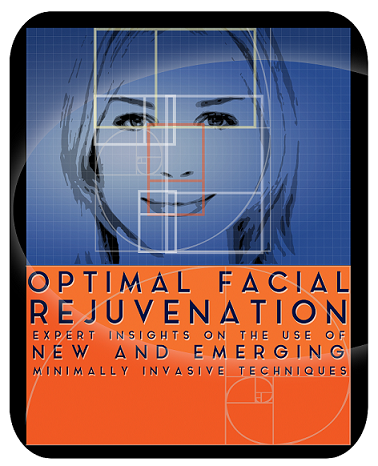 Create individualized management plans for aesthetic facial rejuvenation using minimally invasive techniques. Paradigm Medical Communications, LLC designates this enduring material for a maximum of 4.0 AMA PRA Category 1 Credits™. Physicians should claim only the credit commensurate with the extent of their participation in the activity. This activity is supported by an educational grant from Sinclair Pharma. As an ACCME-accredited provider, Paradigm Medical Communications, LLC activities must include a balanced view of therapeutic options. Use of generic names contributes to this impartiality. In this activity, the trade names for aesthetic products are used for clarity. The use of trade names should not be viewed as an endorsement of specific products by Paradigm Medical Communications, LLC.